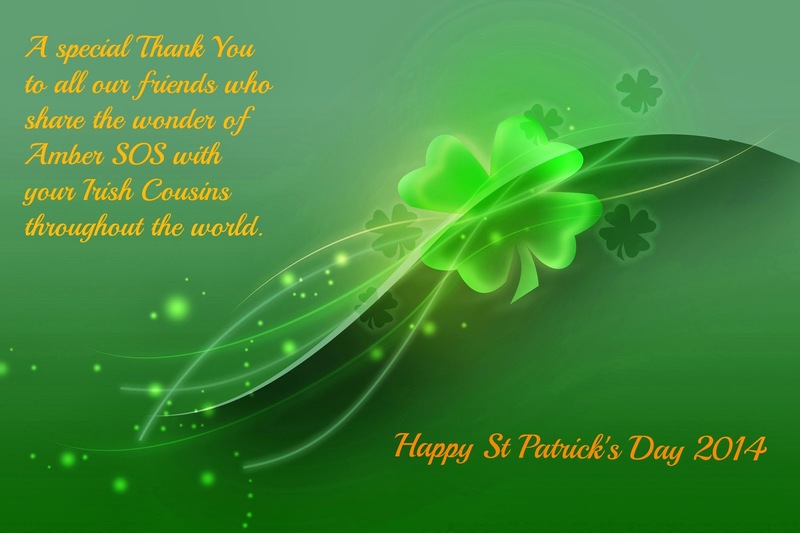 This weekend we at www.ambersos.com are wishing lots of Irish Love to all our loyal customers both here in Ireland and throughout the world. We all know there are many Irish people in other parts of the world and I am feeling a pang of sadness for those who are parted from their family for reasons over which they have no power. I hope you especially can make the most of this holiday weekend and enjoy your unique Irishness, wherever you are. This weekend, I want to say a huge and special thank you to our wonderful Irish customers who share the wonder of amber with your family and friends. This is a particularly Irish thing to do. Hardly a week goes by when I don't take a call from a happy customer who is looking for another piece of amber to send to someone in need. Many of these new customers are living from these shores. I really appreciate these calls and thank you sincerely. Have a Happy St Patrick's Day!